Your trip to Milan has a welcomed lunchtime break in the charming city of Verona. Home to Shakespeare’s “Two Gentleman” and “Romeo and Juliet”, Verona clearly illustrates why it has been a constant source of inspiration for artists throughout the centuries. Walk the mythical path of the two star-crossed lovers and visit Juliet’s house (actually a restored inn-now museum, but the marble balcony is irresistible). You see the spectacular Duomo and “the other Coliseum” an incredibly intact arena from Imperial Rome. 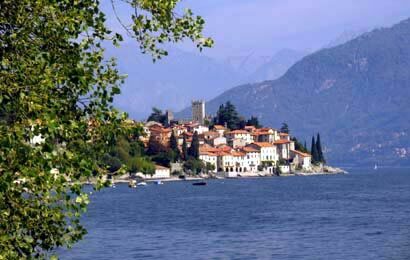 Before you arrive in Milan, your Lecture-Guide Driver takes you a few miles North to the spectacular Lake Como. This is a postcard setting. Beautiful villas, tiny towns, lush foliage and a crystal clear lake nestled at the foot of the Alps makes Como a feast for the senses. Upon arrival in Milan it is clear that you’ve had an informative, productive and visually stunning motor transfer.